Day 2- Food Coma and Five Ton Cacti. How Sweet It Is. Casa Grande to Tucson, AZ. We stopped at Saguaro National Park on our way. 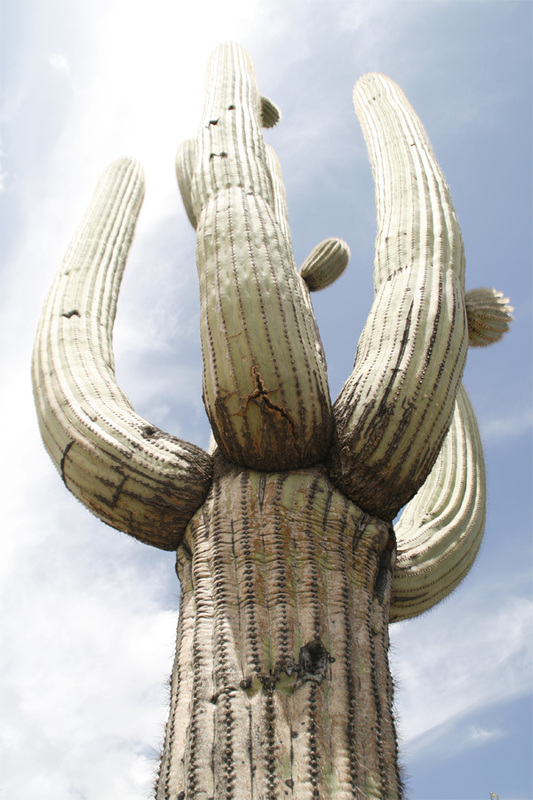 The Saguaro cacti poke straight up through the mountainsides like giant human figures frozen in time. Greeting each other on their way to wherever, with the most polite disposition. Most stood more than 15′ high and had outward or upward facing arms. The sign said that some can weigh over five tons! Howdy Partner! The menu looked splendid but we only had the belly for a wee bite. We ordered a Mint Mocha and a Chai Chocolate Shake – we had our priorities straight! They were both divine but the Chai Chocolate shake was out of this world. Then, for a non-espresso food item, we tried the humus plate, which was all homemade and very good. After eating, we took a stroll about 4th Street and poked in and out the colorful buildings that housed the ever-abundant thrift stores, record store and art galleries that college areas are typically adorned with. Downtown Tucson was smaller than I expected, although we’ll be exploring more on Day 3. It has a nice mix of new (lot of construction right now) and old, old west. 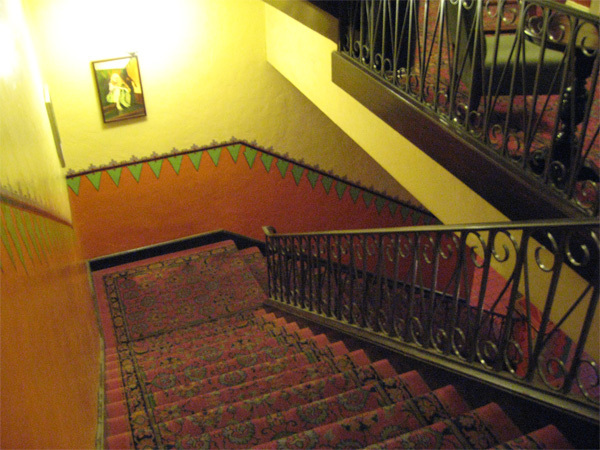 We booked a room at the historic Hotel Congress. 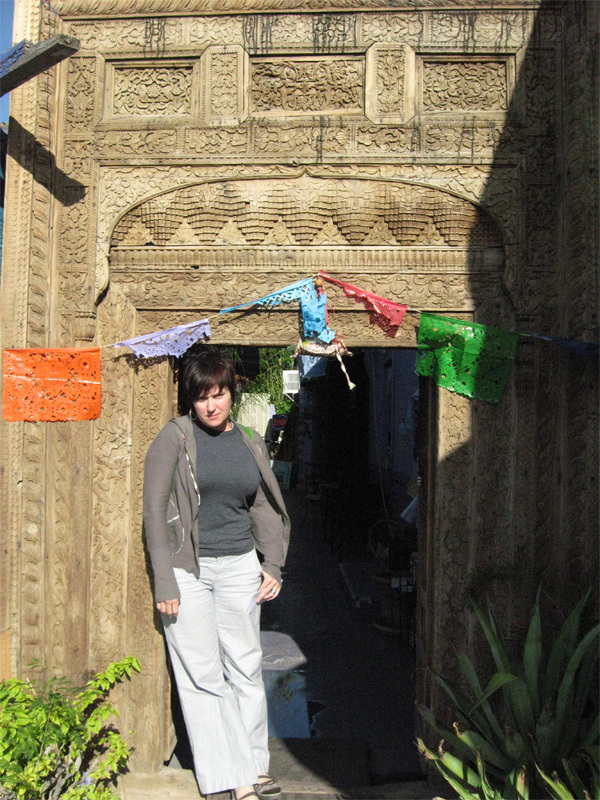 A historical place situated across from the train station, right in the heart of Tucson. The first floor has all you’ll ever need; a restaurant, bar, lounge with free wifi, a nightclub with local music, and a barber shop! For Dinner we went to Café Poco Cosa. Roadfood.com highly recommended it but couldn’t give much of a description of the menu because it changes daily, even hourly to reflect the fresh ingredients that are available. I had to try it, and yes, for the foodies out there it’s worth coming to Tucson just for this place. We had a sampler plate (although they didn’t call it that), the chef picks three dishes and arranges them all on one plate. We got lucky and got one more bonus item. IT WAS AMAZING. We loved every mouthful, I even scarffed up the steak (abnormal move for me) that had an avocado sauce on it. Dennis wooed the sweet potato corn pie as his favorite. 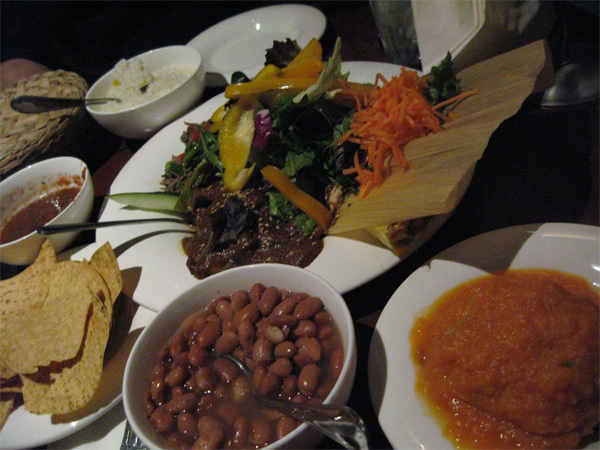 We also had the chocolate mole chicken and some other carne asada concoction. Then for dessert we had the Mexican chocolate mouse, uhmmm- good. After leaving here we planned to “hit the town” but upon returning to our hotel we both crashed. Food coma! How sweet it is. There are lots more photos in our Photo/ flickr section and we’re also adding points to our map. Cheers! « Day 1: May the words of Zoltar be our guide.